Thank you for another successful IWES Gold Coast! IWES Gold Coast 2018 ran during the week of 9 – 13 July at the Mantra On View Hotel, Surfers Paradise. We would like to thank all of the delegates, event staff, and presenters for making the event so successful. 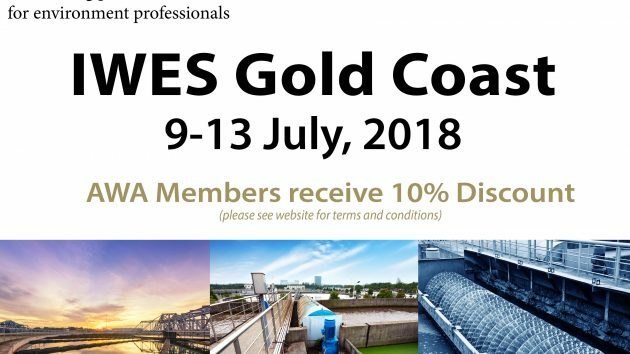 IWES Gold Coast 2018 featured the following courses: Principles of Wastewater Treatment, Design of Biological and Advanced Wastewater Treatment Processes, Drinking Water Treatment: Principles, Practice and Applications, Design and Operation of Membrane Systems, and Corrosion and Odour Management in Sewers. Process Modelling for Water Treatment Professionals. ​Save the date – program coming soon. If you would like to be added to the waitlist for any of the above IWES events, please email the IWES team at info@iwes.com.au. In the meantime, lock these dates in your calendar!